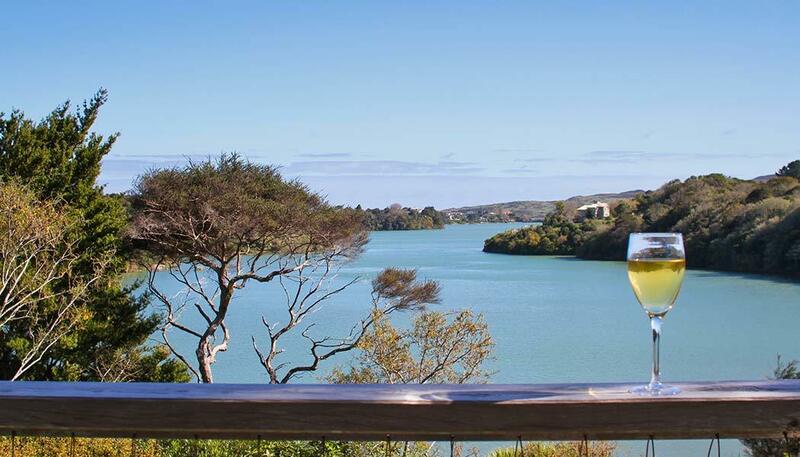 In the late 1990s, Scott Cato found himself the ideal waterfront property, clad in bush and jutting into Raglan Harbour. Inspired by its peace, fertility and dramatic sunsets he developed a vision for a dwelling to complement this idyllic spot. Now, after many years enjoying Waitui, the home he dreamed up on the peninsula that captivated his imagination, his time there is over. “When I first bought the property, I imagined it as a thumb of land poking into the estuary, a peninsula surrounded on three sides by harbour. It stretched itself geographically towards the sun, and the aesthetic I envisaged was to build at the point of the peninsula, on an escarpment area that is the nail of the thumb,” he says. Although that was the logical place to build, obtaining planning permission was a challenge. “This was about 18 years ago, and although what I wanted to do was not possible in the district plan, when I brought the planners onto the property, they could see what I saw, and they endorsed my ideas. “What we created with Waitui is a large bird. Its body is all the living areas of the house, and its wings are the bedrooms and bathrooms. At present, the bird only has one wing. However, the other wing, with additional bedrooms, is designed and has resource consent, so can be added on in future,” says Scott. He engaged Richard Thomson of PGG Wrightson Real Estate, Hamilton to find new owners for the property. Richard says Waitui is unique. “A private peninsula in luxuriant native bush that attracts abundant bird life, with a well-constructed, thoughtfully laid out home designed to fit the surroundings, this property configures the most eye-catching features into an irresistible package. 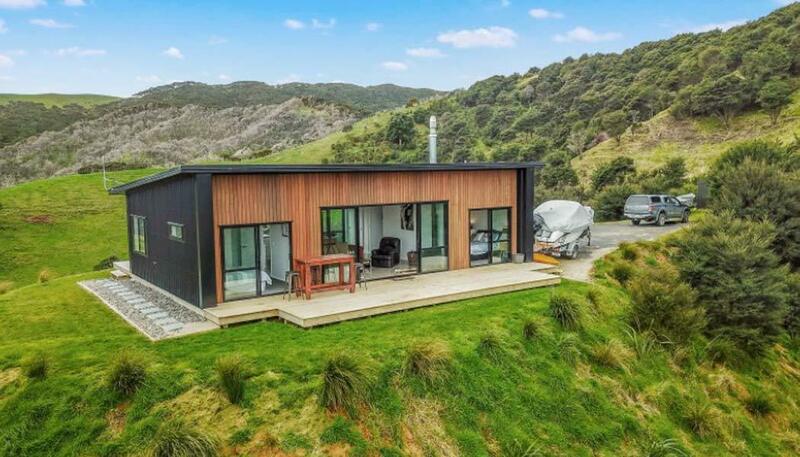 “Positioned for all day sun, and incredible sunsets, in addition to the house it has a boat shed suitable for extra accommodation, with storage for kayaks, paddle boards and other recreational equipment, which can be launched off the lawn. 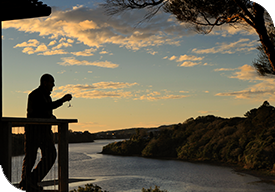 “Because of the way Scott successfully negotiated resource consent and planning permission, replicating Waitui now, so close to the water’s edge, would be impossible,” says Richard. In his time as Waitui owner, Scott imposed one rule. “I have kept stock off the property for 26 years. That has helped maximise the bird life. “Visiting Morocco inspired me to create terraces. Over there they do amazing things with awkward pieces of land, transforming them to grow almond or fruit trees. I realised I could do the same with what was a scruffy bit of the property. Now, courtesy of some skilled earthmoving by a local contractor, there are three terraces of about 90-metres each that contour the hillside, and a fourth terrace of approximately 30-metres. As a trial, I planted lime trees on the short terrace, which are groaning with fruit, making the most of the fertile soils that flank Raglan Harbour,” he says. Scott says Waitui has a presence about it that has enabled him, and friends who visit, to unwind. “Several people who have stayed here tell me ‘This place just makes you feel you want to relax, away from the hideous pressures of the rest of the world,’” he says. Helping underline that, he has commissioned several pieces of sculptural art for Waitui. “These complement the natural aspects of the property and the Raglan region. While they are a bit esoteric, they also emphasise the singular nature of the property, which really is like no other,” says Scott. Richard’s marketing campaign was effective, reaching a local couple who had been away from Raglan for many years, and were looking for somewhere with ‘x’ factor. They fell in love with Waitui at first sight, and made an offer. Scott accepted, and now they are preparing to take over his unique creation, and looking forward to enjoying it as much as he has.